This particular book is a reprint of a 1906 edition originally titled “Captain Cook’s Voyages of Discovery”. It is edited somewhat oddly. Cook made three voyages of discovery between 1768 and 1779. The original editor uses original sources to write a third person narrative account of the first two voyages. 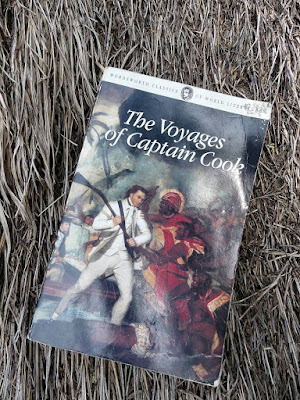 For the third voyage he uses Cook’s journal to write a first person narrative, later switching to Lieutenant King’s journal after Cook’s death at the hands of native Hawaiians. Although it’s an interesting read, I often wondered what I was missing by not reading the actual account. For instance in the introduction it’s mentioned that Cook had a difficult time convincing his crew to eat walrus meat during his time in the Arctic. The book only makes a mention that the crew eventually cane to like walrus meat and I’m left wondering what type of juicy historical tidbit, the kind that we history nerds love, I might have missed. Another issue I have is that of maps. I’d really like to see where Cook was when. The book does provide a map for each voyage, but it’s just a line drawn on a silhouette map with various islands named. Since many of the names used at the time have changed from what we currently use the maps are of only vague help. 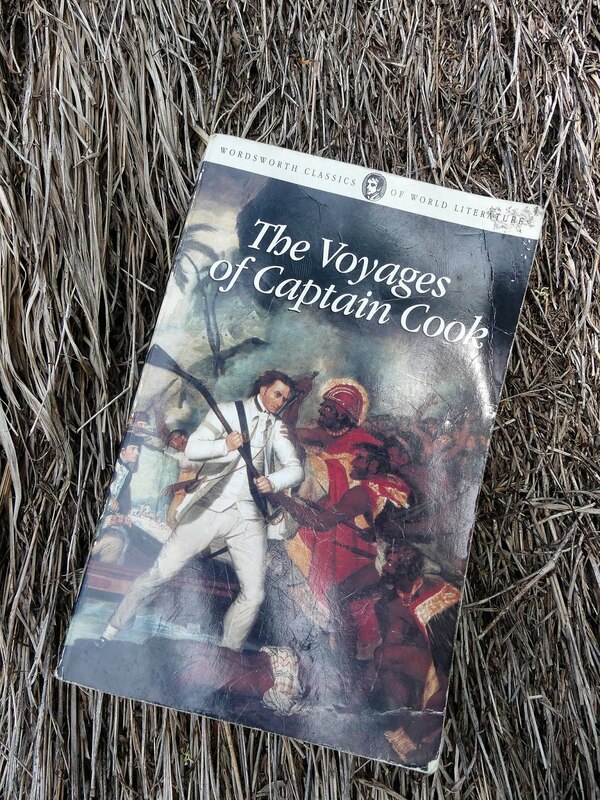 Cook’s voyages were spectacular – from the coasts of New Zealand and Australia, to the islands of the south Pacific, to the artic coasts of North America and Russia. His emphasis on cleanliness and scurvy prevention (using sauerkraut, ship brewed beer and fresh provisions at every opportunity) revolutionized certain aspects of naval health care. I’m sure tales and accounts of the voyages would be well known by the average British tar. So in summation, if you want a good solid account of all three voyages all in one place, this isn’t a bad book. If you actually want the historic detail, and you want to know exactly what happened where, there is probably a more modern selection that might be a better choice.